Jaya Bachchan, wife of Bollywood superstar Amitabh Bachchan is a disciplinarian and has never held back from showing off her strict side to both fans and the media. 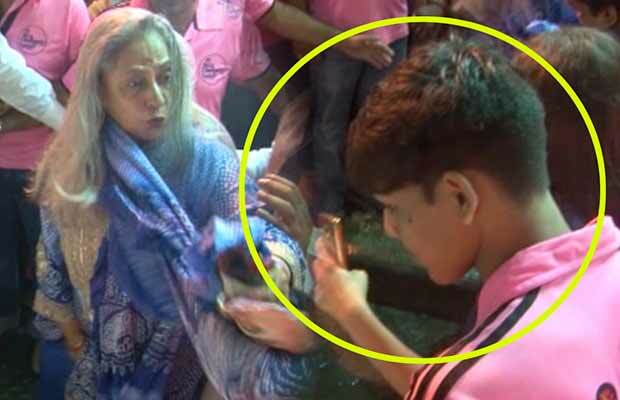 This time Jaya Bachchan had come to the temple for Ganesh Chaturthi. She was caught leaving the premises when a fan tried to take a selfie with the veteran actress. She got really angry and slammed him saying, “Don’t do that stupid!” before going away. Jaya Bachchan is known for her short temper to indiscipline but snapping at a fan could be a hard limit. Next articleSohum Shah Plays A Romantic Role For The First Time In Simran!